What is the importance of accounting? Accounting is a process that involves understanding, recording, summarizing and reporting the business’s financial information, which makes it easier to make decisions in terms of financial statements. 1) By accounting we can understand that there is a profit or loss in a particular period. How much is the loan on business. 3) Apart from this, keeping accounting can understand the reasons for the profit or loss of business. 1) Goods: – Goods are bought and sold mainly in the business. For example – in a grocery store there are soaps, oils good. Depending on the purchase of profits and the sale of goods. 2) Assets: – Assets are valuable things that are necessary for business and business wealth. For example – Building, Weekel, Machinery, Furniture. 3) Liabilities: – Liability is given to business by others. For example – loan taken from the bank, purchase of goods on credit. 4) Capital: – Capital is the capital invested by the business owner. It is in the form of a capital cash, goods or assets. When this capital is invested by the business owner, then according to the business, this capital is also a liability. 5) Debtor: – The business which has to take a certain amount of money, is called Debtor. 6) Creditor: – Those who have to pay certain amount to our business are called creditors. 7) Business Transaction: – A financial event that is related to business and whose impact falls on the financial position of the company. For example – Selling goods on the purchase, salaries and credit of goods. 8) Cash Transaction: – Transactions that are made in cash are called cash transactions. 9) Credit Transaction: – The transactions that are done on the transaction credits are called credit transactions. 10) Account: – Account is a statement of any transaction, which affects any assets, liabilities, income or expense. 11) Ledger: – The laser is a book in which all accounts of personal, real or nominal are held, which are in the journal of the journal or assistant. 1) Personal Accounts: – Accounts of all individuals, societies, trusts, banks and companies are personal accounts. For example – Rahul A /c, Gayatri Sales A / c, Subodh Traders A / c, Bank of Maharashtra A/c. Bought in Goods Cash – Goods are coming into this business in this transaction but at the same time cash out of business is going out. Dutta sold on good credit to traders – Goods in this transaction are going out of business and at the same time Datta traders become debtors of our business. According to the double entry system – While recording all such business transactions in the account, there are two aspects: Debit aspect (giving) and Credit aspect (giving). CBitss Technologies is the best place that provides Accounting courses in Chandigarh. CBitss Technologies is located in the beautiful city of Chandigarh. Chandigarh is the center of education, so many students from different places or states come to study and make their career bright. Tally ERP 9 provides the ability to access data via remote from anywhere. The user creates remote user IDs from this scrawl, authorizes and removes access to remote access. 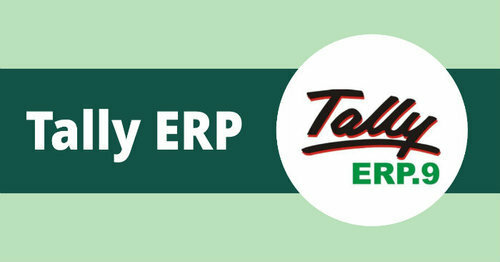 Tally ERP 9 comes with a new upgraded installer, which allows the user to configure different settings from the same screen as per the requirements. 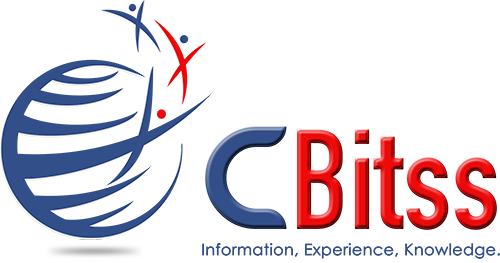 CBITS Technologies provides Tally training in Chandigarh. This is a professional course that is useful for existing Tally users who already work on the Tally, also enhances their talent skills. Tally courses in Chandigarh are also for students going to college and professionals working in the field of accounting and finance.